Nature Education Workshop Series include a meal and a minimal administrative fee, follow the link by clicking on the Brown title for detailed information. Click on the blue title hyperlink (will update as the registration opens) this takes you to the workshop page. Nature Workshops/Education Courses: includes all aspects of environment from astronomy to zoology. 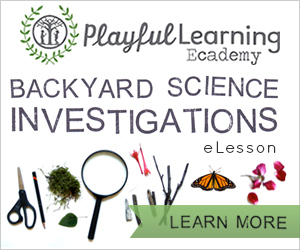 Our curriculum will include the North Carolina Science Essential Standards engaging students in inquiry-based instruction is a critical way of developing conceptual understanding of the science content that is vital for success in the twenty-first century. We will provide a seamless integration of science content, scientific inquiry, experimentation and technological design will reinforce in students the notion that “what” is known is inextricably tied to “how” it is known. Our curriculum provides opportunities for inquiry, experimentation and technological design. All our activities, while teaching science, provide opportunities for students to engage in “hands-on/minds-on” activities that are exemplars of scientific inquiry, experimentation and technological design. Technology will be done through GIS and construction of computer educational games. Engineering will be taught through the human impact assessment and art component. Mathematics is required in all aspects to calculate results, comparisons and assessments such as Tree age from trunk girth. Sustainability and green energy will also be incorporated.